Many of the people I work with have the question of which nutrition plan they should follow. 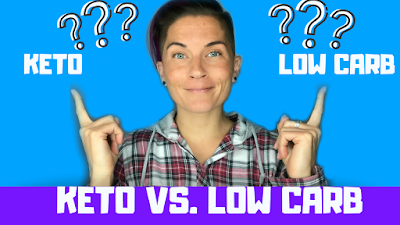 Should they do strict keto or low carb? I can't answer that question for them OR you...what I CAN do is explain the difference. So here we go! What constitutes the ketogenic diet? The ketogenic diet is when you start balancing your macros. What is a macro? It is short for macronutrients. Macros are your fats, proteins, and carbs. In the ketogenic diet, you are going to be eating mostly fat, moderate protein, and low carb. That ends up being about 70-80% fat, 15-20% protein, and 5-10% carbs. Your carbs are going to stay under 20-25 grams per day. There are some pretty cool apps available for your phone so that you can track this to keep your mind sane. I use the myfitnesspal app. 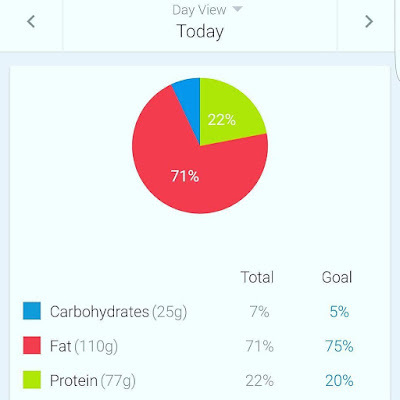 What's the point of counting your macros and following a ketogenic diet? When you are following the keto diet you are shifting the body from using glucose as its fuel source to using fat as its primary source of fuel. That is called ketosis. 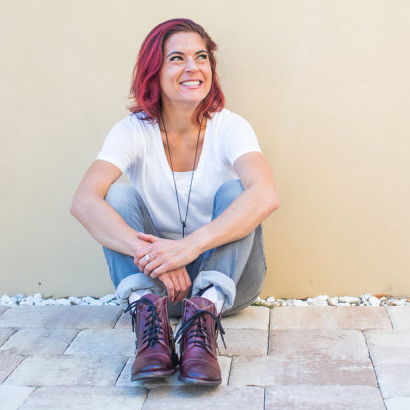 When you are in ketosis your body is like a fine-tuned machine! It runs more efficiently, your energy is increased, you have mental clarity, lifted brain fog, better sleep, better mood, better digestion...just to name a few. Eating this way also allows you to go longer without feeling hungry, and feel more satisfied with the meals that you do eat. There are a TON of benefits to following the ketogenic diet. The most well known and popular benefit right now is weight loss. That is the ketogenic diet, in a nutshell, now to move onto low carb. When you are following a low carb diet, basically the only thing that you are focusing on is keeping your net carb intake under 50 grams per day. What is a net carb? In order to find out your net carbs, what you do is take the total carbs in whatever your eating and subtract the fiber and the sugar alcohols. That is going to give you your net carb total. If you are following a low carb diet you are going to want to keep those net carbs between 20-50 grams per day. You can lose weight on a low carb diet, that is actually the type of diet that I follow, but I do supplement with exogenous ketones. The reason I do that is that I want my body to be in ketosis and be burning fat for fuel, but I do not want to follow the strict ketogenic diet. If you are following a low carb diet and not supplementing with exogenous ketones it is possible that you will feel some side effects such as feeling tired and low energy. This is because your body is not quite in ketosis which means it has not made that switch to burning fat for fuel and is still working off of carbs, but since you have such a low amount it doesn't have much to go on. That is why the exogenous ketones work really well with the way that I am eating. I like the fact that I am not strict with counting my macros, but am still feeling the benefits of being in ketosis. Most of the challengers that I work with start out with a low carb diet and supplementing with exogenous ketones. Once they have that under their belt they can transition into following the ketogenic diet if that is something that they are interested in. I have found that way seems to be easier for people to transition into the ketogenic diet. Overall, that is the difference between a low carb diet and the ketogenic diet. Different nutrition plans work for different people depending on THEIR needs and THEIR own bodies. If you have any questions about this post or about exogenous ketones, fill out the form below and I will get back to you ASAP!